Eggcrates, the interlocking cardboard dividers in boxes used to keep the contents from rattling around, have been around for a long time. When you go to design them into parts you have a dilemma. 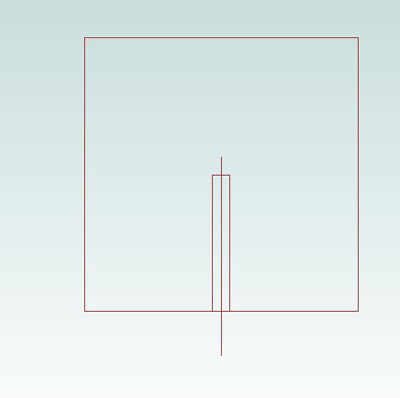 Do you show them with square cut edges in the slots or with rounded edges? 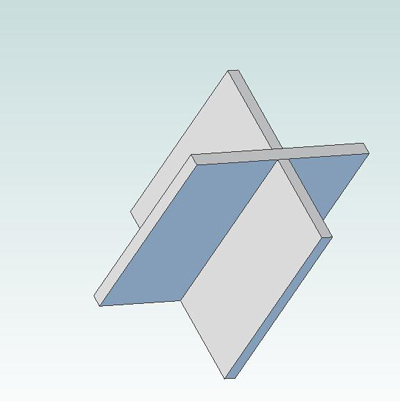 It's easier to show a square cut and the 3d parts are easy to create and 'mate' easily in the design package I'm using (Alibre Design). No matter what you do the cutting bit is going to leave a rounded profile. bottom (called a fillet). The slot then goes full depth and can be cut as part of what's usually called a profile cut. Tab and Slots, as "insert tab A into slot B", have also been around forever. Again the dilemma is how to show them and how to machine them. 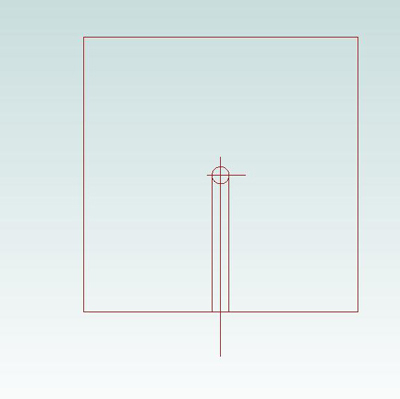 Here's a sample part with both tabs and slots shown as square edged. 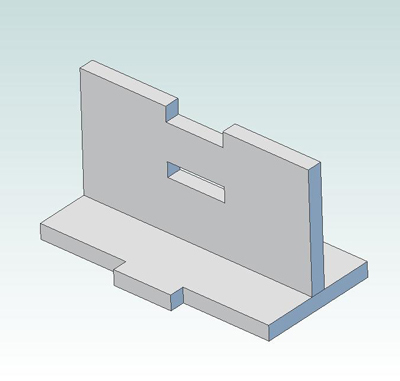 Below we show 3d versions of the part with both edge and mid-part matings. 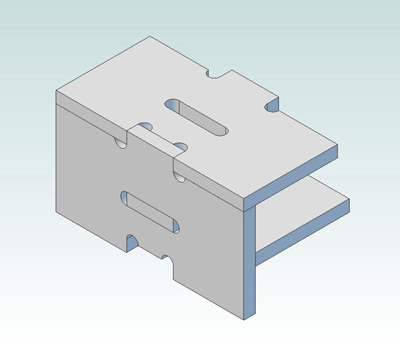 The problem is, of course, like the eggcrate slots, you can't machine the square edge. 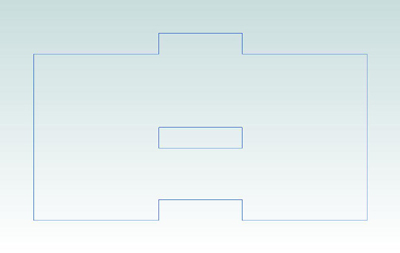 To the left is what happens if you machine the profile above. 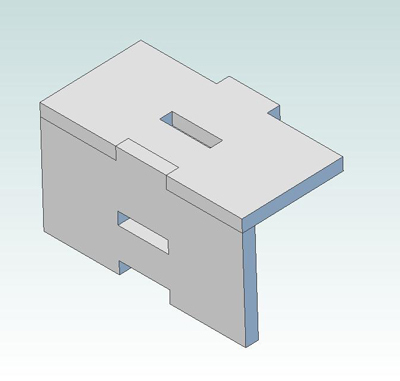 The parts won't mate because the rounded edged interfere. There are consequences to using a Tab & Slot design. 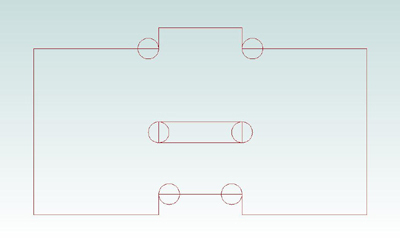 If the edges, or surface, where the Tab & Slot come together are exposed then the fillet cuts will have to be filled. Since there are typically other construction issues that require filling in this is typically not an issue. 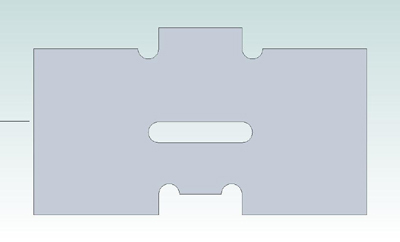 One alternative, of course, would be to nc machine the parts without the fillet cuts and then use a file to square off the edges by hand.